Looking for a BMW lease that won’t overstretch your monthly car budget? 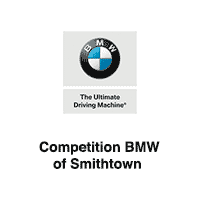 Thanks to the BMW lease deals and finance offers at Competition BMW of Smithtown, you can drive home in a luxury car for less than you’d expect. Whether you’re interested in a sporty BMW 3 Series sedan or a spacious yet luxurious BMW X2 SUV, we’ve got plenty of options to suit your need in our extensive inventory. Contact us today to get in touch with our finance team before you visit our dealership near Smithtown for a test drive!